Modern statistical methods use complex, sophisticated models that can lead to intractable computations. 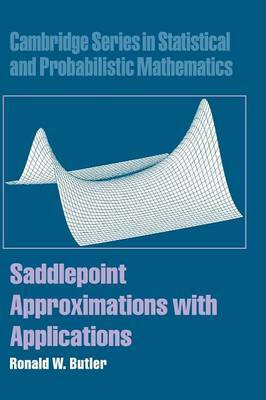 Saddlepoint approximations can be the answer. Written from the user's point of view, this book explains in clear language how such approximate probability computations are made, taking readers from the very beginnings to current applications. The core material is presented in chapters 1-6 at an elementary mathematical level. Chapters 7-9 then give a highly readable account of higher-order asymptotic inference. Later chapters address areas where saddlepoint methods have had substantial impact: multivariate testing, stochastic systems and applied probability, bootstrap implementation in the transform domain, and Bayesian computation and inference. No previous background in the area is required. Data examples from real applications demonstrate the practical value of the methods. Ideal for graduate students and researchers in statistics, biostatistics, electrical engineering, econometrics, and applied mathematics, this is both an entry-level text and a valuable reference.